ROME — To call Kristin Jones stubborn is an understatement. 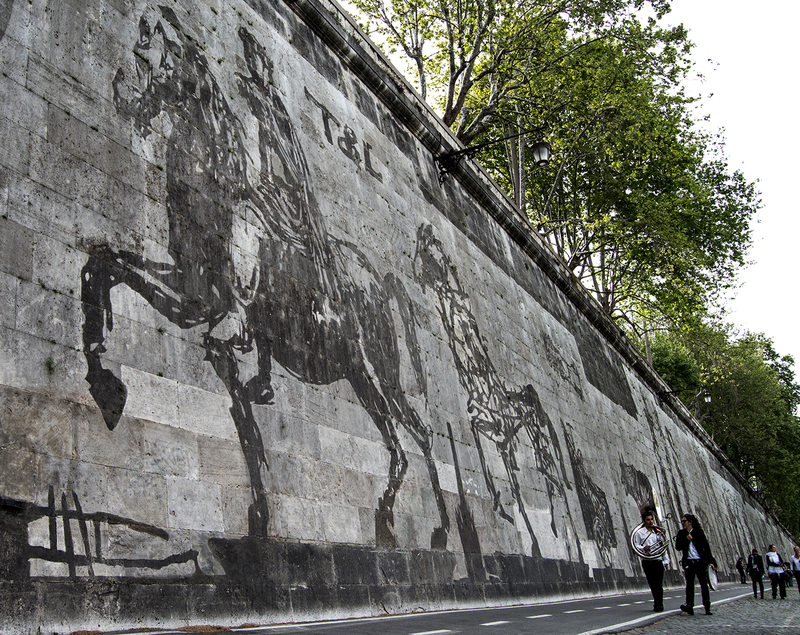 A decade ago, the American artist carpet-bombed Rome with plans for a frieze of monumental figures to be executed on the walls of the Tiber, with a novel technique of water-based dirt removal over stencil, leaving the silhouettes shining through the cleaned surface lines. 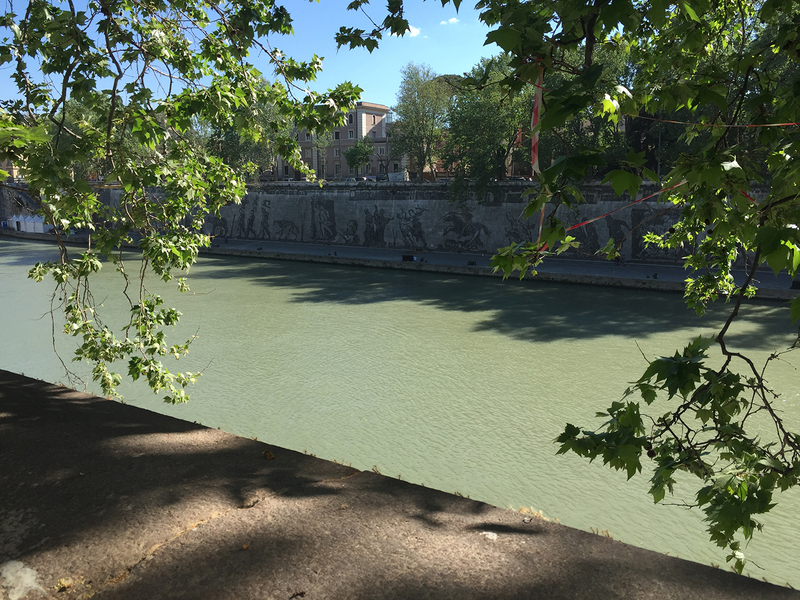 She succeeded, and with a mix of grit and optimism, began a long campaign to salvage the Tiber banks, an area prone to human degradation and the frequent rise of this mythic but polluted river. Her figures were inaugurated with a party and procession, and thus was born a public art space on the Tiber. Jones — once half of a New York artist couple and now mostly a solo artist and cultural entrepreneur — felt the sweet taste of success when she saw her fecund she-wolf looming on the sides of the river. In reminiscence of Jones & Ginzel, her own public art partnership, she decided to invite a fellow creator to build on her project. 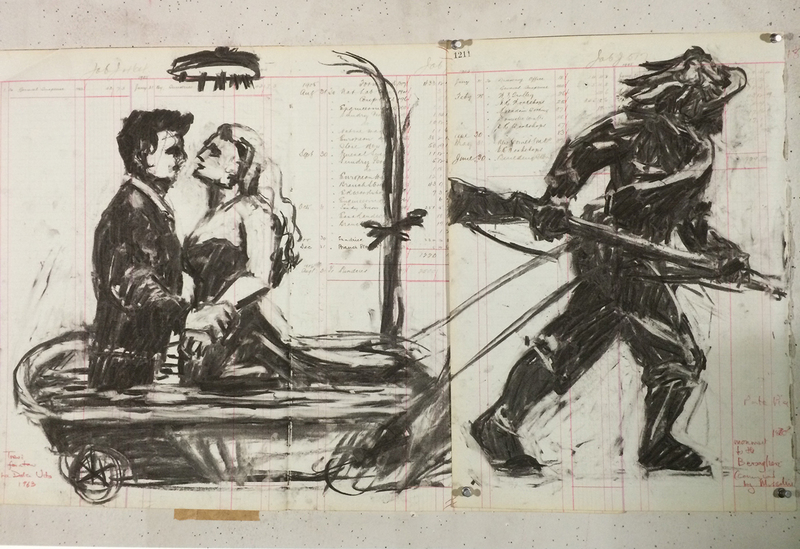 William Kentridge is no stranger to epic projects himself, and with the support of his long-time Rome gallerist Lia Rumma and her team, as well as Marian Goodman Gallery in New York and many others, accepted Jones’s invitation to create his own huge frieze of figures along the river’s banks. Popes, knights, nuns, wolves, Death on horseback, or other unsettling figures syncopate the full height of the enormous embankment, which was built after a devastating flood in the 19th century. Their ghostly presences, stenciled via the same dirt removal technique that yielded Jones’s originals, dance along a stretch of river between Ponte Sisto and Ponte Mazzini, and will be inaugurated on the evenings of April 21 and 22 with a double parade of puppets and costumed musicians carrying the stencils, on either side, in a procession calling to mind Rome’s imperial past. 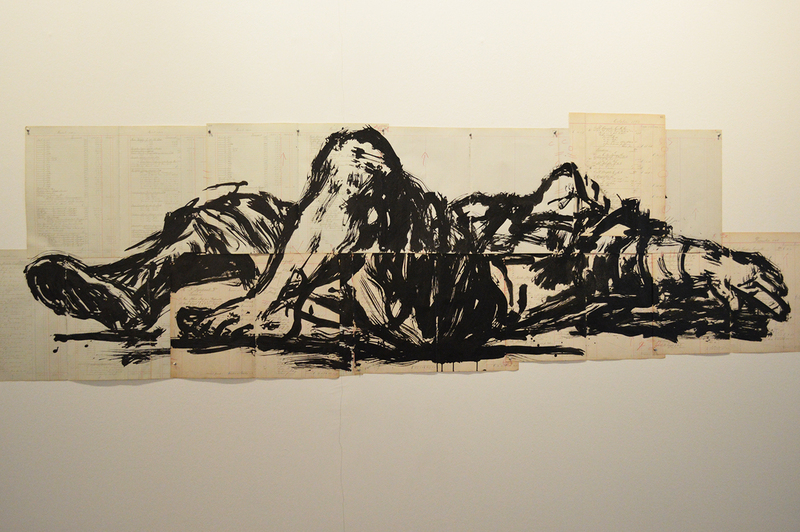 The musical score is by long-term Kentridge collaborator Philip Miller, with Thuthuka Sibisi. 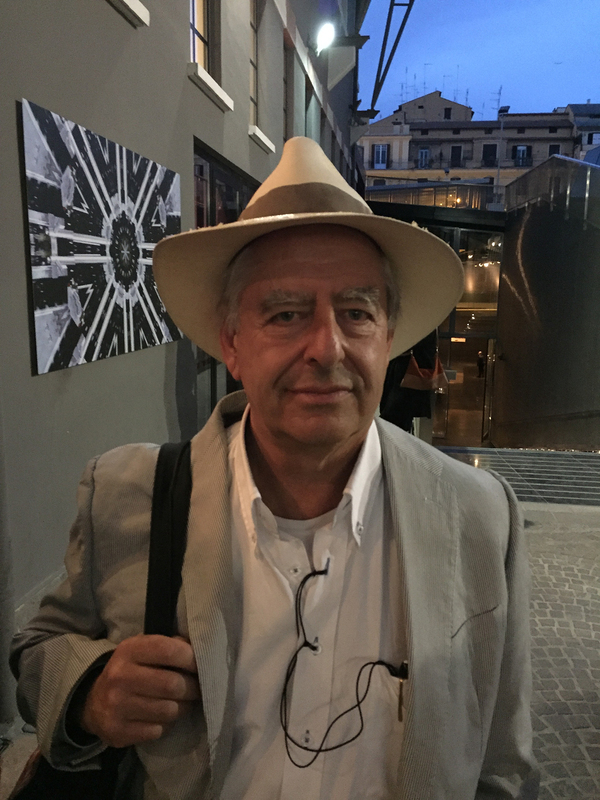 Kentridge’s previous forays in theater, opera, film, and other performative mediums stand him in good stead for Triumphs and Laments. Distinguishing the project from recent public art in Rome (and elsewhere), Triumphs and Laments mercifully does not bear the name of the artist in first line, and thus eludes some of the egocentrism so much a part of the art world. But the title is still a bit perplexing for citizens of Caput Mundi. Exactly what does the cycle mean? In fact, “the cost of every triumph is usually a lament,” the artist remarked in one of the receptions to celebrate his work. And with characteristic breadth and splendor, he seeks to map that fabric of woes and wonder with his choice of images and pageantry. But what kind of addition are Kentridge & Jones to Piazza Navona, the Spanish Steps, the Fontana di Trevi, and the many ancient urban artworks dotting the city? Shall we think of the project more as ephemeral art, a burst of fireworks or naumachia such as might have been enacted by a Urban VIII? 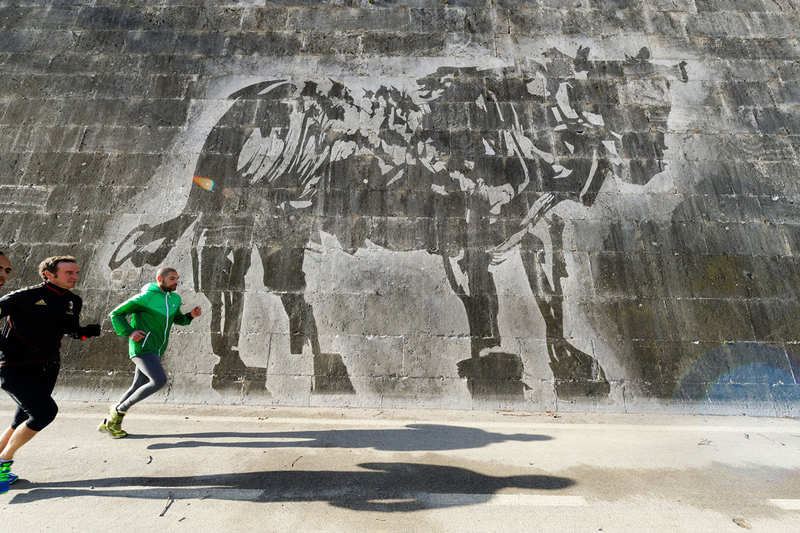 What exactly does public art mean in a town rebuilt uninterruptedly for over 2,000 years? Romans notoriously take pomp with a grain of salt. Maurizio Anastasi, the former head of public monuments in Rome, growled that Jones’s original project was at first destined for the suburbs thanks to a group of disinterested city bureaucrats. He spearheaded the permits, impressed by the artist’s seductive politics and chutzpah. Her association, Tevereterno, now has a 19-year lease on that area of the Tiber. What distinguishes Triumphs and Laments and most other contemporary public art from historic examples in Rome is the absence of a real mecenato, or patron — that pope, cardinal, prince, or mayor who might have worked with the artist and his team to broadcast a truly contemporary Roman message to the world: an art making in which the artist is not the sovereign, but must work in the service of politics. But Rome right now does not even have a mayor. 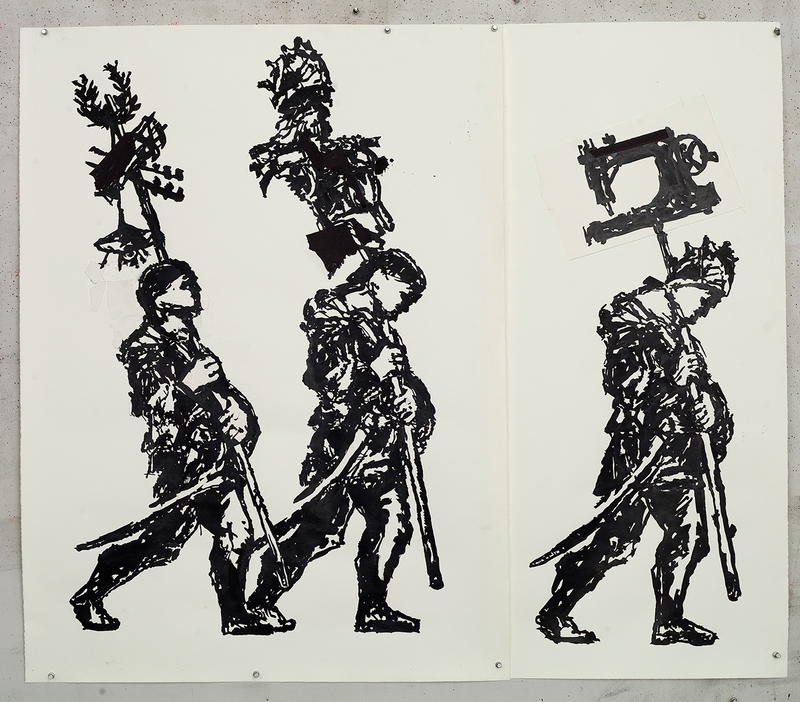 Thus, Kentridge approached his project with modern-day artistic liberty; what civic patron would have allowed a fallen warrior or a word like “Laments” to figure into such a highly visible public cycle? This is a valuable freedom, but frankly, in the final work, it is a bit difficult to decipher the sequence or recognize the figures, even for those who know Roman history. Above all, “glory” is the operative word in Rome — glory to beauty or the highest realities known to man. Whether it is achieved or not is another question, but in a city that resists skyscrapers; that boasts sheep, shepherd, and olive groves within its perimeter; that one still approaches by air via acres of umbrella pines, wheat fields, or other unremunerative crops; whose masterpieces include paintings of peasants eating beans and fountains about bees — well, to challenge the simultaneous simplicity and grandeur which come so naturally to Romans is one tall act indeed. Triumphs and Laments is great public art on the American model, evidencing the political wisdom of a white artist who hails from South Africa. It’s a work that seeks to redress wrongs on many levels, by starring black singers and musicians, speaking of slavery, of underdogs, of torture, of those who lost as well as those who won. 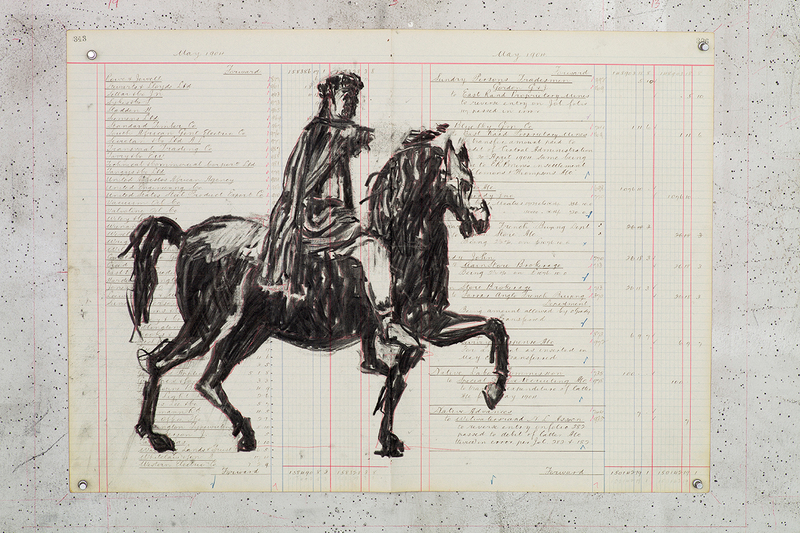 Kentridge’s piece is a triumph itself, and testimony to the ultimately fertile impact of modern-day “Barbarians” — or, as they’re now called, stranieri, anyone not born in this city. The project is a glimpse of what could happen should cities like New York, London, or Rome once again employ symbols to manifest their identities and their power in a fractured, border-scrambled world. Triumphs and Laments: A Project for Rome launches on April 21 and 22 with free nighttime public performances. 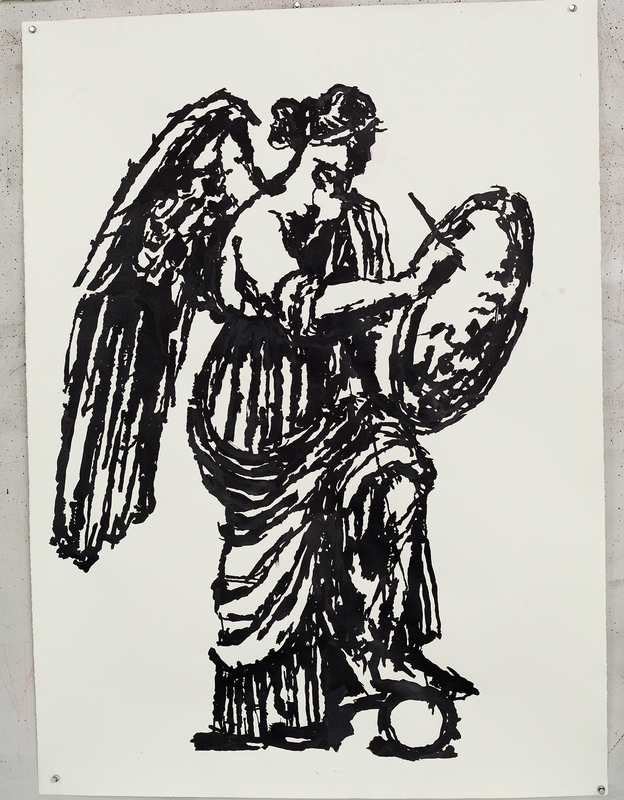 William Kentridge’s drawings for Triumphs and Laments are on view at MACRO (Via Nizza 138, Rome) through October 2.